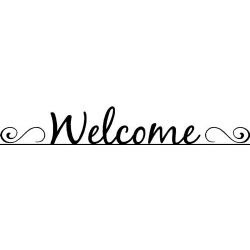 Home » Crafts, Sewing, & Home Decor » Sewing » Brand new Sponsor and GIVEAWAY!! I love introducing a brand new sponsor. I get a kick out of sharing. 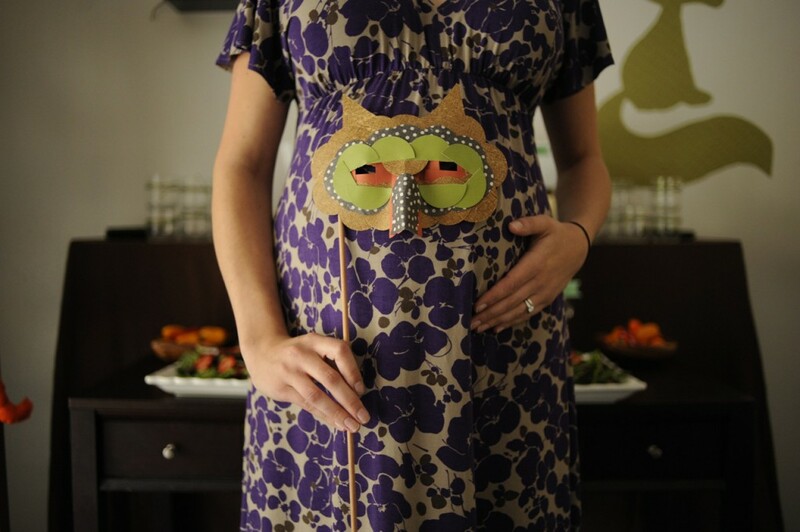 Ready to meet the newest? Beki, from The Rusted Chain, is a wife and mom, with some serious talent. She has been creating jewelry since 2003 and has been featured in various parenting magazines and advertisements. Her jewelry is sold in many upscale boutiques and also internationally. She definitely knows what she is doing. Each of her pieces are made from sterling silver and are hand stamped for that perfect, yet unique look. The great part, is that you can customize your jewelry, just how you’d like it. Some of my favorite and humorous pieces. Ha! There are even items for men. Just think of the things you could write on there for the guy in your life. Oooh, and there are other gorgeous pieces of jewelry that Beki has sprinkled throughout her shop too. I love all of the variety in there. Beautiful. So yes, I know, you are probably thinking of all of the great pieces you’d like to add to your collection…….but don’t forget your mom who lives across the country or your sister who has a birthday coming up. What a sweet personalized gift. Beki also has a beautiful little blog, where she opens up a little more personally, shares shop news and discounts, and also showcases a bit of her gorgeous photography. Check it out here. And yes, Beki is offering a giveaway here on Make It and Love It. She has generously offered a $30 gift certificate, so the winner can choose whatever he/she wants. Just imagine what you could get. Leave one comment below, telling me what your favorite item is of The Rusted Chain. And thanks again Beki for sponsoring Make It and Love It. Your shop is full of wonderful little treasures that anyone will love. You can find The Rusted Chain, along with my other great sponsors, along my sidebars. I love the "Soar" bird necklace! soo cool!! I like the Two Tabs necklace, so many possibilities! I honestly can't choose one. I love all of the inspirational messages especially "Plant seeds" and "soar"
I love the dream teach inspire. I think it would be perfect for my sister who has been teaching 1st grade for 21 years. Love the choose happiness necklace. But the "I shoot people" really made me laugh! I really love that capture life necklace with the camera on it. Her jewelry is beautiful and I am a sucker for hand stamped jewelry! I like the "mommy" bracelet it really touched my heart!! Everything else was fabulous too!! I love the soar. She does beautiful work! I really am loving that "soar" bird necklace. Beautiful work. i'm dabbling in photography so i'm lovin' the ones with cameras! heck, i like 'em all! I LOVE the "in christ alone" and "amazing grace" necklace! I love them all. 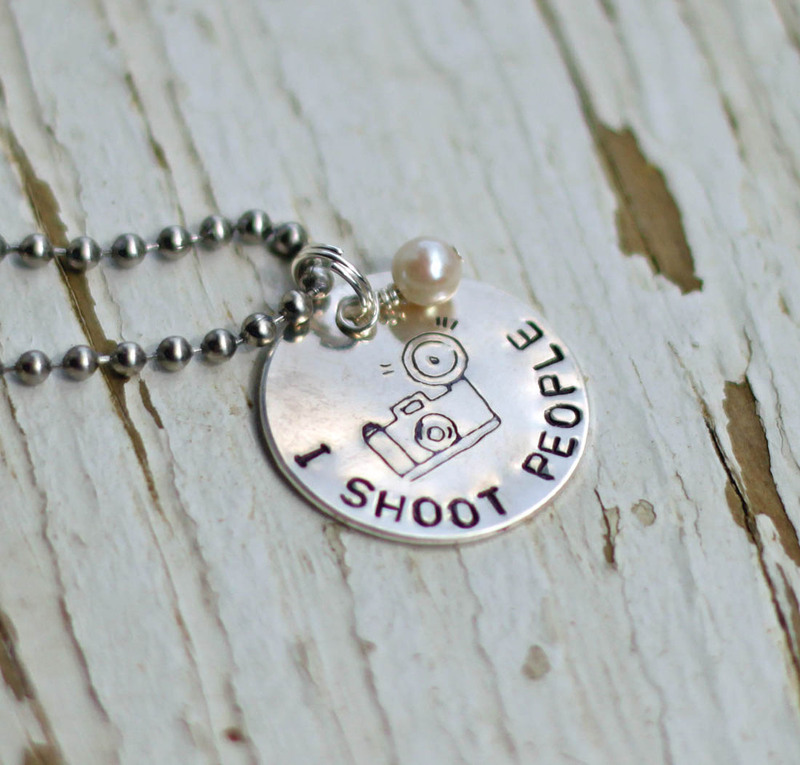 I have a photographer friend who NEEDS the I shoot people necklace. Hilarious, yet adorable! I love this sponsor! 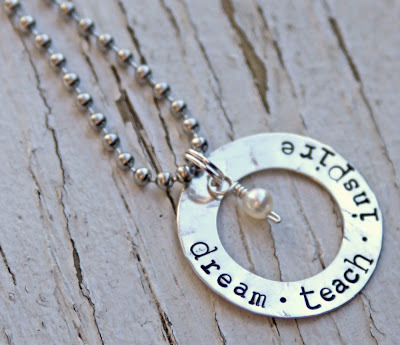 I love the bird necklace (because it's a little different and be wonderful to add to my collection) and the Teach.Inspire necklace – I've had my eye on that for my son's teacher! I love the "Choose Happiness" necklace. It reminds me that although we can't always choose our circumstances, we can choose how we respond to them. I love the "My Love" necklace. I love all the earrings and the "Dream, Teach, Inspire" necklace. All of her stuff is so beautiful! I love the All i need necklace (good reminder!) and the prim peacock earrings.and the Worship Always, and more, but i'll limit myself… :) Gorgeous stuff! Gorgeous work! I love the capture life necklace. I used to have a charm attached to my camera and it fell off, I would love to turn this little gem into a charm and use it to remind me WHY I'm taking photos when I do. I also love the "I Shoot People" charm even though I'm not a photographer! 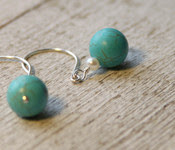 My faves are just the simple ones with bead danglies! umm…i LOVE her stuff! too hard to choose just one, but the "fly necklace" & "spaced out bracelet" definitely caught my eye. i might have drooled a little bit (don't tell anyone, okay?). Choose Happiness. My motto for 2010. I love the soar bird. So great! Oh cute stuff! 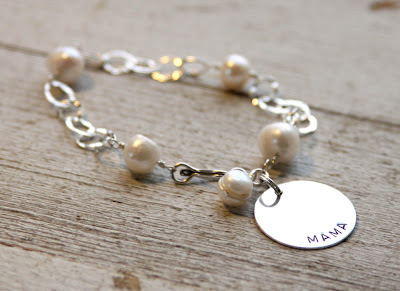 I love the funky mama necklace! I love the "my love" necklace! I love the Create.Dream.Inspire necklace; or the Creeate Happiness necklace. i love the "choose happiness" necklace! I love the personalized necklaces. How fun! "All I need" necklace. And the Ella earings–I couldn't pick just one! My pick would be the daddy keychain- nice to include "the guys"! 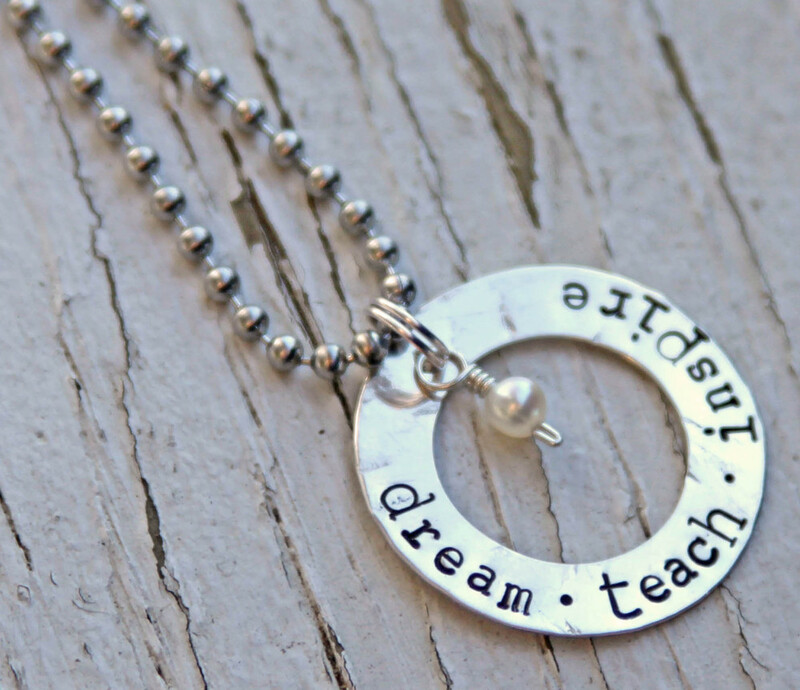 My favorite is the dream teach inspire necklace because I'm a K5 teacher :) So precious!!! haha im laughing so hard at the "i shoot people". I totally wanna get that for my bestie who is a budding photographer! I just love how everything can be personalized, especially with the 'add a lemon' gemstone touches. My favorite piece is the Ella earrings. I love the cute metal piece and the red/pink color stone. This is a really great site! I love the "soar" fly necklaces. I like the two tabs necklace. 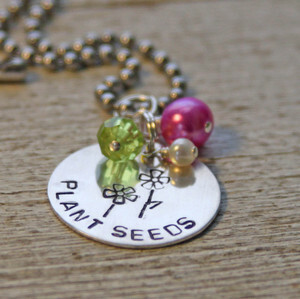 I love the Plant Seeds necklace!! 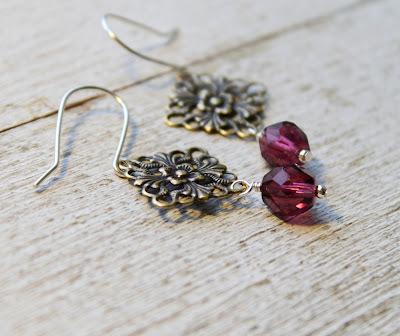 How I love the Anna earrings! 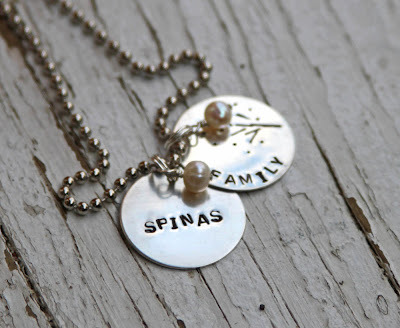 And I couldn't even begin to choose my favorite of the stamped necklaces…I could go a little crazy here! Man oh man, how to choose?! I really like the My Love necklace. love your blog, love her pieces! There are quite a few i like but i really like the soar bride pendent. wow . . . amazing stuff! my favourite is the you'll be in my heart necklace . . . perfect in remembrance of the children i didn't get to keep . . .
i have 3 favorites! The happy day earrings, the prim peacock earrings, and the choose happiness necklace! I love the fly necklace that says SOAR. That would be so cute for one of my nieces!! Such pretty stuff! How can you choose just one. I love them all!!! I can narrow it down to 3…..Inner Circle, Capture Life, and I Shoot People….oh and also How Great Is Our God. I agree so many to choose from but my favorite has to be the double trouble necklace. I love her stuff! It was so hard to choose but I narrowed it down to three: I shoot people, Plant Seeds, and Love Squared. Love them! I love the two tabs necklace. So cute! I love the bracelets with a stamped washer. I love that you can personalize the bracelet. Love.Love.Love. My fav (if I have to pick one) would be the FAMILY one. 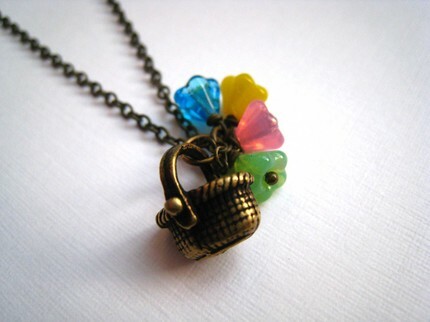 I love the Full of Love necklace. Being a photographer..I Love the "I Shoot People" and "Capture Life"
the Lime Twist earrings were delicious!! beautiful and really neat pieces! I really want a hand stamped bracelet. I don't normally enter but I love hand stamped jewelry! *crossing my fingers! the "soar" is really sweet. I love the fly necklace! It's beautiful! Thanks for the opportunity! I love the "Live Out Loud" necklace. So cute! I really like that double trouble necklace! So creative. The soar necklaces is quite stunning as well! 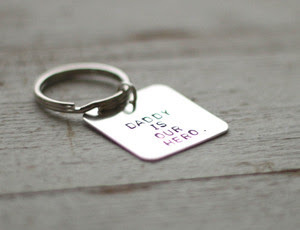 I like the Daddy is our Hero keychain…super cute! LOVE the soar bird necklace!! goodness that pearl bracelet is beautiful! Fabulous stuff. I love the mommy bracelet! These are amazing…so many possibilities! 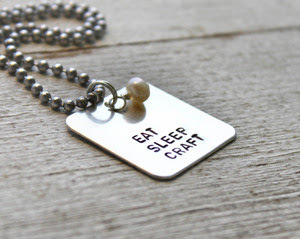 I think the Fly necklace with an extra tab would be super darling… and maybe add some beads and give it a little color! So sweet! Beautiful stuff! My favorite is the "soar" necklace! I love the "It All Started With A Kiss" necklace. I love the Lime Twist & Happy Day Earrings. Super Cute! I love those neacklaces. I would love to have one with our names on it. 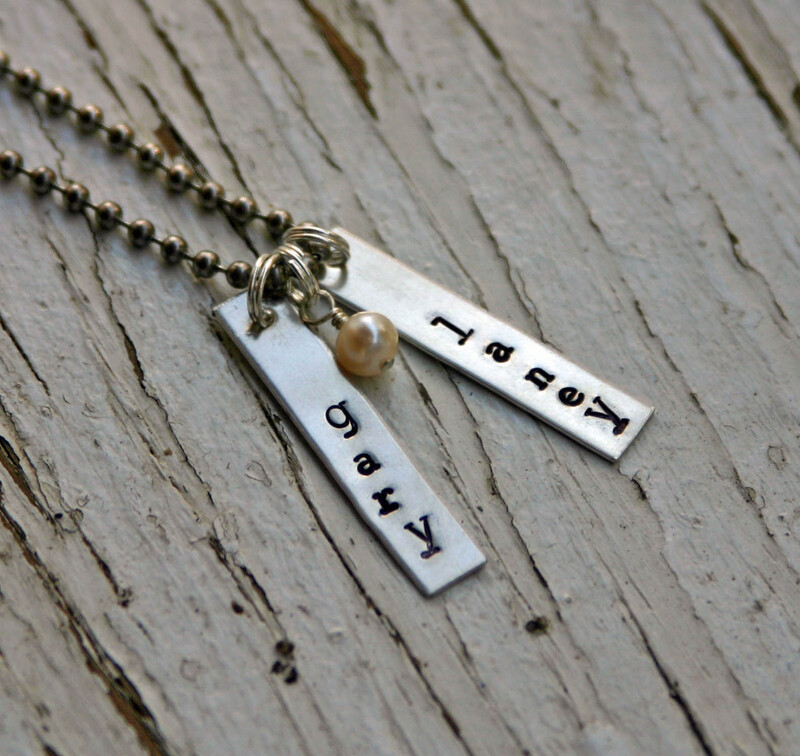 The Fly necklace with "soar" written n the bird is my favorite. Oh, I love the magenta earrings. I love the wife of a Hero necklace!! I love the "Daddy is our hero" keychain! I've been trying to find something meaningful, creative AND masculine for my husband. Believe me, it's hard!! I love the "soar" necklace. So cute. I also like all the personalized engravings. I love the All I Need necklace, it's a great reminder to appreciate the things you have! Great. I love the purple earrings. Thanks for the giveaway. I kinda have a inside joke about "shooting people" with my sis-in law, so I have to get her that, but my fav was the bracelet, like a sophisticated charm bracelet. I love the 2 tabs necklace – it'll be great to have my 2 little boys' names on it. I think it's a tie between the "worship always" and "amazing grace" necklaces! 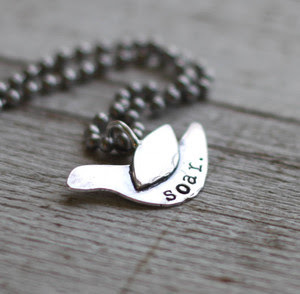 I Love the Soar bird necklace, it's not the typical sparrow you see every where. Very Cute! I LOVE these! So many great gift ideas but mostly I want that bracelet! A brand new sponsor and GIVEAWAY! Are you ready for some whimsy? Some incredible taste and style? Vicky, from The City Cradle, is a wife and a mom to twins……with a sweet sense for all things beautiful. Vicky plans and designs the most incredible parties that can be used for large celebrations, or for the sweetest of gatherings with friends. Once you begin browsing her site, you will instantly be inspired by what you see. 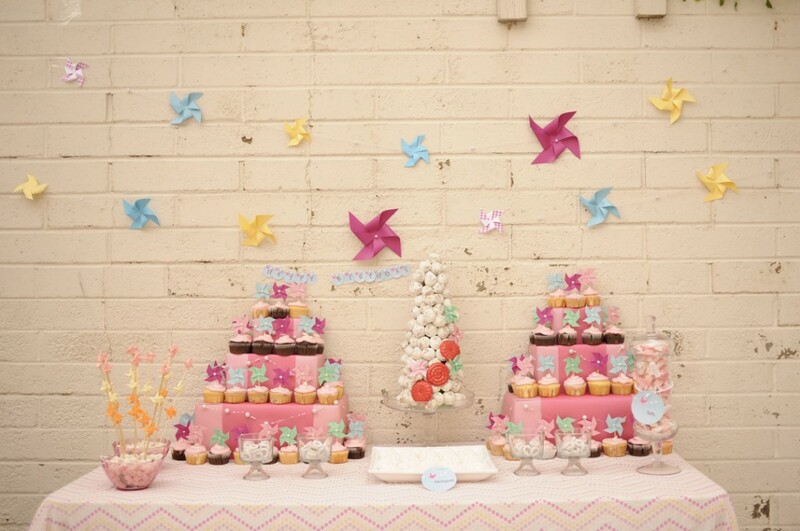 Vicky created the most magical backyard party for one sweet little girl. The details are amazing and every corner you turn, there are more and more ideas waiting to inspire you. I just got a kick out of these Starburst candy pinwheels. 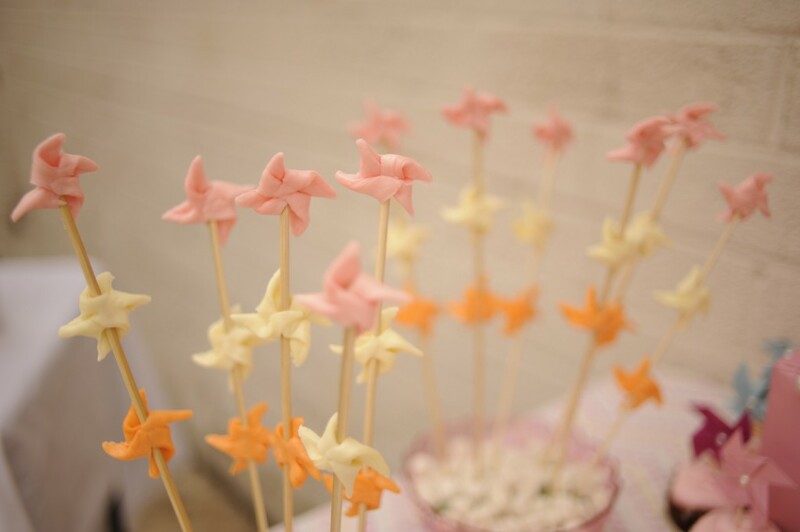 She rolled some Starburst out flat and folded each one like a pinwheel and attached them to skewers. Darling detail. **For a full review of the Pinwheels and Pearls party, go here. 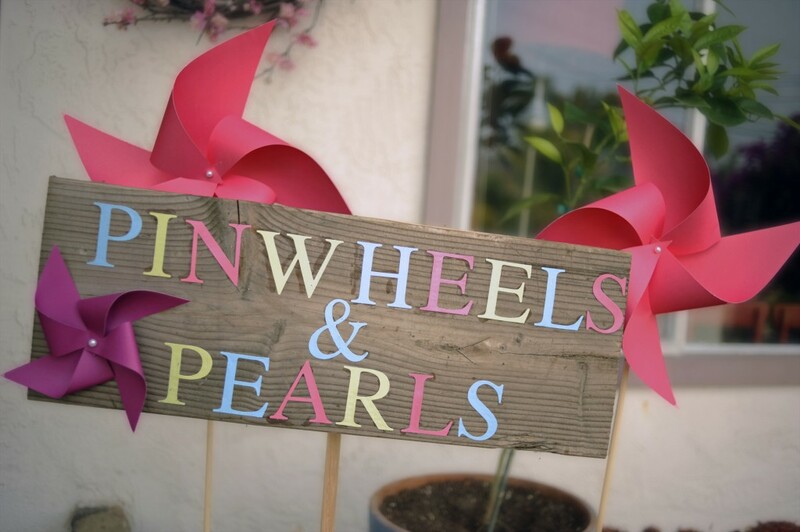 (Scroll down until you see the pinwheel party.) There are links to many of her party element tutorials and many more pictures to view. 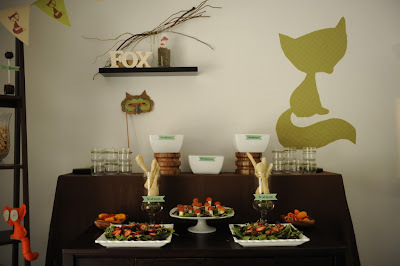 And I couldn’t help but share this Sly Little Fox party too. Vicky shares a complete view of a little boy baby shower here. Whimsy can be incorporated for the sweet little boys in our life too. Just look at this darling set up. There were details in every corner. 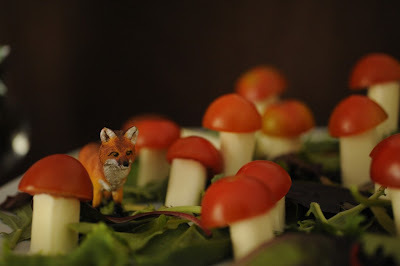 These mozzarella and tomato toad stools sat on top of the salad greens. Darling. And the party food was soup themed. These bread spoons were the perfect match. Can you even help yourself from sitting at your computer with your eyes wide as can be? I think what excites me most about Vicky’s ideas, is that she breaks them down and shows us how to create affordable parties and shows us that each step is very do-able. I am definitely not a party planner but can hardly wait to plan something. I just love all the details. And Vicky has a goal to plan 30 parties before she turns 30 next year. So follow along here, to watch the 30×30 challenge take place. And a complete sampling of all of her events here. Vicky also has a shop here, where she offers many of her design elements for you to purchase. Perfect for those of you who are short on time to make things yourself. The shop is on a mini vacation but will re-open in July. But also don’t forget to visit her blog regularly for party updates, giveaways, and sweet photos/dialogue about her own life. Such a lovely person. Vicky also recently explained her love for picnics. She is inspired by them and thoroughly enjoys these warm summer months. So she is hosting Picnic Month over on her blog here. But there will be 3 different winners and some of the prizes include a $50 gift card to Pottery Barn, a gorgeous picnic print, some picnic hair pins, a picnic necklace, some gift cards, and more…. And on top of all that, Vicky is also offering a giveaway right here at Make It and Love It. 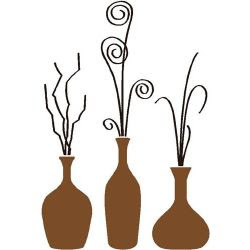 She is offering a set of her spring in bloom vases. Can’t you see these used in any room of your house? Or your next party? So bright, so cheery, so perfect for spring/summer time. 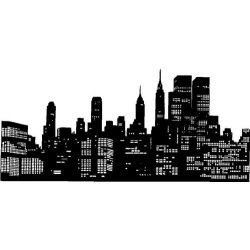 Go on over to www.thecitycradle.com and look around for a while and choose your favorite thing about her blog. Tell me your choice in your comment. And thanks again Vicky for sponsoring Make It and Love It. 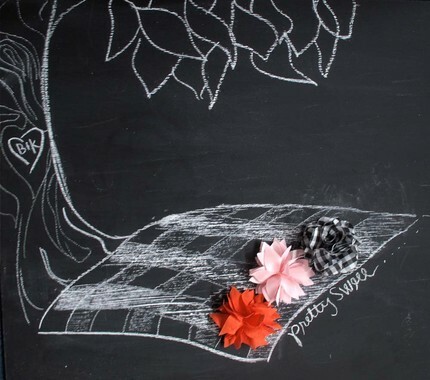 Your site is filled with so much inspiration and whimsy, I can hardly wait to begin planning. You can find The City Cradle, along with my other great sponsors, along my sidebars. Great idea! I love picnics too!! and I already follow your blog! My favorite thing about her blog is all the cute party ideas! 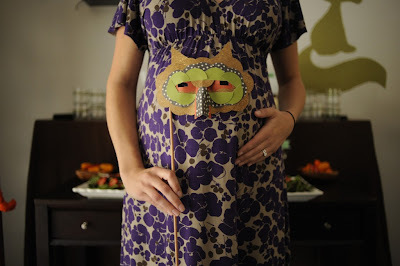 So creative, I love the very hungry caterpillar one! I put a button on my blog! 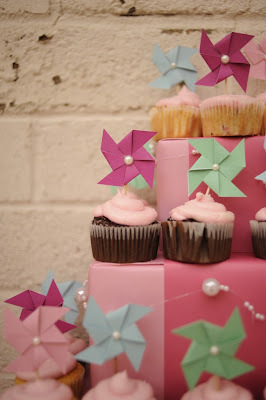 The pinwheels & pearls birthday has been my favorite entry so far! I like the ruffle party and the polka dot party! 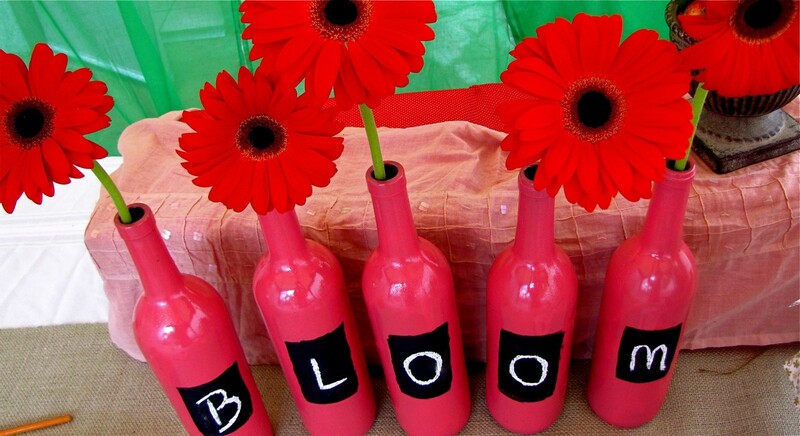 I love the vases! They are so bright and cheery! im just so happy it is above 70! 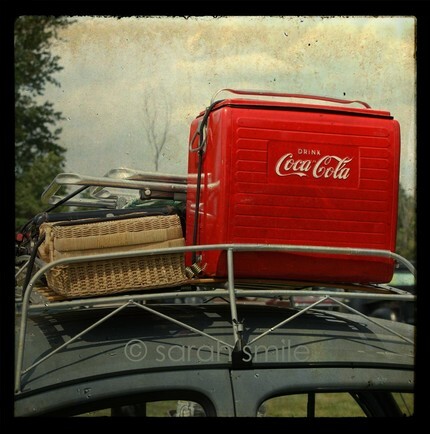 i need a picnic! I have a button too! What a talented woman! I love the vases. 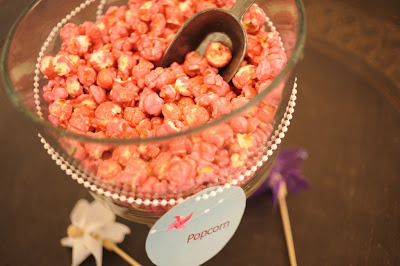 I love all the party ideas on the blog! I've been thinking about a polka dot party for my daughter. Great ideas! 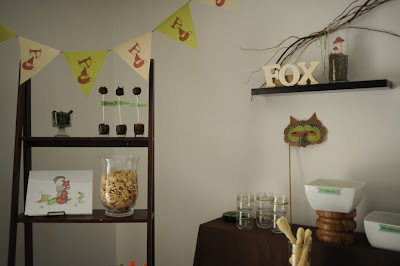 I love the oh, so many (not to mention incredible) details that she adds to each project/party! My fave thing about The City Cradle's blog is watching the 30×30! I can't wait to see that come together! So cute! I really want those! Oh wow these are GORGEOUS!! Love em! I LOVE all her party decor ideas! So inspiring! Those vases would be beautiful on my mantle! Good thing I already have your button too! This one ends on my birthday! Good luck for me! I have a button on my blog! #1 thos party hats in her ruffle party are to die for, I LOVE THEM! #2, I LOVE the photo booth! #3 so many fun ideas to choose from. really love them all! #4 so many ideas to choose from. Really I love them all! #5 this is all so darn cute! Already follow your blog…love it! So cute, I love all the great party ideas!! I am a follower too! Another talented sponsor, ready to show you some great stuff. 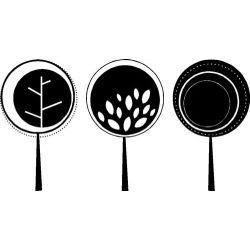 Lindsey, from Wordy Bird has created a beautiful collection of vinyl art….perfect for your home, office, crafting sessions, etc. And you will not be disappointed with the unique variety or the affordable price of the Wordy Bird products. Just take a look at some things from her contemporary collection found here. So stunning. 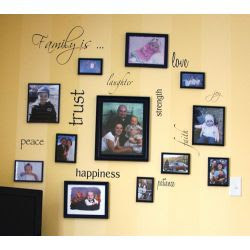 Or how about this beautiful word collage from her Living Room collection found here. 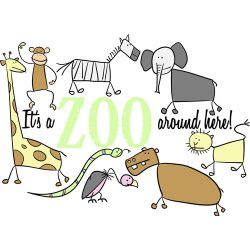 Oh my word, I about died when I saw this zoo theme from her Nursery collection found here. Don’t you just want to redo your nursery this instant? 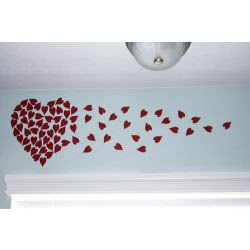 And of course there are some really great vinyl pieces perfect for the Holiday Season found here. And I always love a good saying or quote to place in a doorway or wall anywhere in my home. Have you just about picked enough favorites for you and all of the neighbors to enjoy? I know, I’m there with you. The ideas are endless. And Wordy Bird welcomes custom orders. 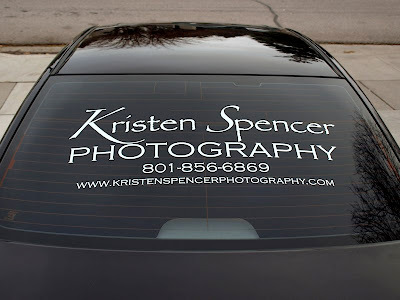 If you have an idea or image you’d like to use, contact Lindsey to work out all of the details. And yes, Lindsey has graciously decided to do a giveaway here on Make It and Love It for all of you. She is offering a $25 gift certificate good for anything in her shop. Lindsey is also offering $5 off a $20 purchase (or more) from today until 2/28/2010. 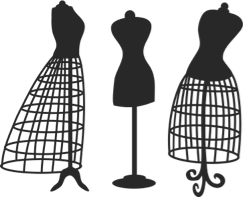 Go on over to www.wordybird.com and look around for a while and choose your favorite item. Tell me your choice in your comment. And just one more extra special entry?!?! Sign up for the Wordy Bird newsletter. Info for signing up is found here, along her right sidebar. Thanks again Lindsey! Your site is packed full of sweet little designs, perfect for us all. You can find Wordy Bird, along with my other great sponsors, along my sidebars. How exciting! I love her ideas. So very clever. 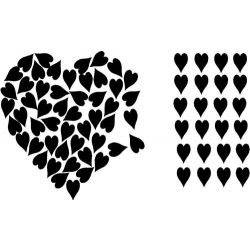 I love the Zoo and the hearts that fall away. Very very clever! 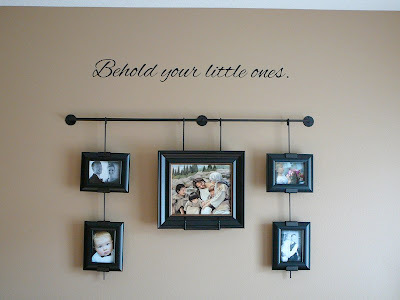 I follow your blog and am totally in love with the family words, I love how they're mingled with the pictures! Such an amazing idea!!! I'm a vinyl-holic, and I love the nursery/zoo decals and the family saying. So cute, here's to fingers crossed I win!! Follower of your blog now! I love the Give Gather Greet from the kitchen section of the site. Love, love, LOVE the letters!! So many places to put those in my home! I love this giveaway…such cute ideas. can't decided on what i like. if i win i guess i will have to pick something. too too cute. i'd probably pick some wording for my boys room. I love the wordy wall!! The wordy wall is my favorite, but I like the bathroom rub a dub too! I follow your blog–love it! Love the "Wordy Wall" set. I would love to play around with some vinyl! Love these! So many great ideas…..
Tough choices, but I think my favorites are the Leaf Sillhuetes and If the crown fits. I absolutely adore the Words with the photo collage, I would never have thought of that, but have the PERFECT place for it! what a great giveaway, who doesn't need some vinyl?! Ooo…I would love the zoo one for my daughter's room. #1: i like the rub a dub! #3: i like the rub a dub! I love the Zoo one! So CUTE! Shoot for the Moon is cute! I would love some of these in my house. Wordy wall is my favorite. . .
how fun! i am a follower! #4: i like the heart candy! I love the half flowers she has. I think I need the Wordy Wall! 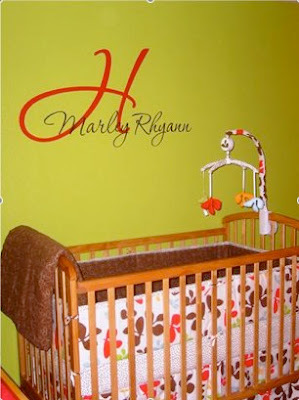 i just love the nursery line too!! 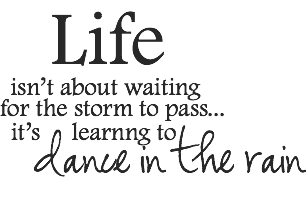 these are such cute sayings! i absolutely love them! #5: i really like shoot for the moon! 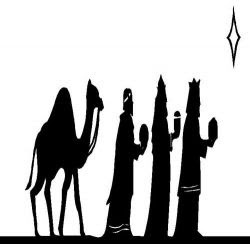 The Nativity Advent Calendar needs to be added to my nativity collection! Thanks again to everyone who participated in the virtual costume parade. What a fun way to see everyone’s creations. So much talent! If you haven’t seen it yet…..scroll on down for an absolute treat! Also, My Bonita Boutique has added Baby Legs to the shop. So cozy and cute. Check them out here. Are you ready for some “gotta-have’s”? This new shop has some incredible variety. Stop on by and you’ll certainly be inspired. Or you can design your own by clicking on Create and then Design Center, where you can choose the size, the font, the color…..oh, the options are endless. Here are some of the orders Cammi has created for others. So cute for a nursery…or even to put some sort of quote or name in any bedroom in the house. How about in your kitchen. So perfect. So lovely. 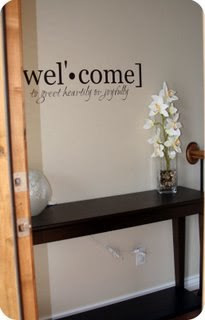 And let’s always welcome friends/family into our home. Do you have your own business you’d like to advertise for? Or how about a for sale sign for your car/home/office space? And how beautiful to place a simple quote above some pictures. 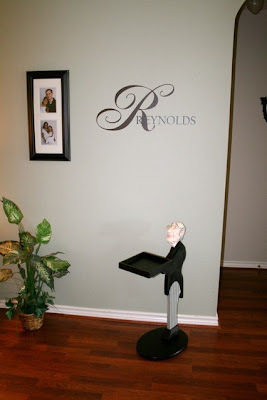 And one of my favorites…display your family name somewhere in your home. And Cammi doesn’t stop with the vinyl…..she is also offering some adorable metal art kits. Perfect for the holiday season. Or how about creating a Christmas countdown for your kids. Okay, or for yourself. Who doesn’t love getting into the Christmas cheer? 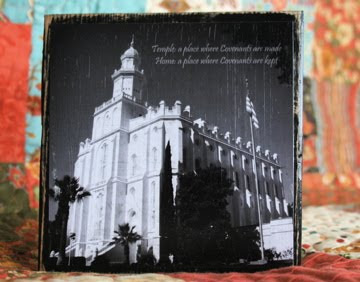 Or how about a Temple Kit, which includes a temple image (from professional photographers who have teamed up with Cammi) and the board to put it on. And the options just go on and on. 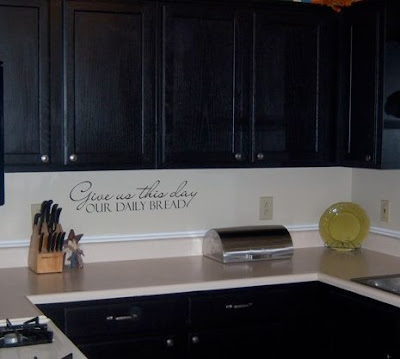 You’ll see….after a while browsing, you’ll find yourself thinking of all sorts of ways to beautify your home. And you’ve guessed it…Cammi is giving away a $20 credit towards your purchase at Scribble It. Just perfect to find something for you or to create something as a gift to someone else. Go on over to www.scribbleitonline.com and look around for a while and choose your favorite item. Tell me your choice in your comment. Become a fan of Scribble It on Facebook by clicking here. Then tell me that you did in another comment. Thanks again Cammi! Your shop is so full of great ideas and inspiration. You can find Scribble It, along with my other sponsors, on my sidebars. I love the temple block kits! they are so pretty!!! ooooh! This is SO right up my alley! I LOVE this kind of thing. So cool. 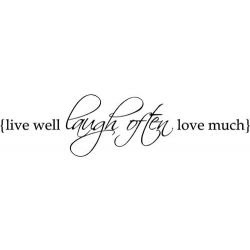 I really like the entry sayings, the monograms for a child's room are awesome (that is what I would pick if I won!). What a great item for a gift too and the prices are so reasonable. There are so many cool quotes and how neat is it that you can design your own! Love the Learn the alphabet in style. Behold your little ones wall quote is beautiful. I am follower as well. i want the chalkboard squares!!! Such pretty stuff!! I've been wanting some quotes for our walls. I'm now officially 'following' your blog! I love the metal nativity. The trees are so cute! love this! I am a follower of your blog! And I would LOVE to design some of my own ideas…what a cool thing! 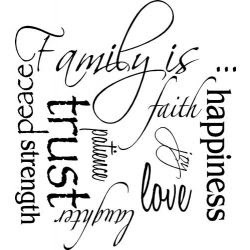 I love the Family is Forever quote. I am loving everything…it would be hard to choose! I adore the front door saying. lovely and sweet. Love your blog!! Thanks for the giveaway opportunity! I love the vintage wall art, especially the black frame! I visited the store and my favorite item was the Monogram name that she called "her most popular monogram"! I bacame a fan of ScribbleIt on Facebook. #2 I visited the store and my favorite item was the Monogram name that she called "her most popular monogram"! #3 I visited the store and my favorite item was the Monogram name that she called "her most popular monogram"! #4 I visited the store and my favorite item was the Monogram name that she called "her most popular monogram"! #5 I visited the store and my favorite item was the Monogram name that she called "her most popular monogram"! Brittany Davis – I love all the kits they sell. 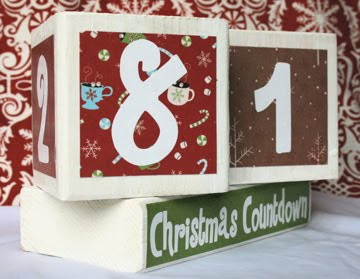 Like the Christmas countdown blocks and the vinyl letters with wood blocks for each occasion. too cute! 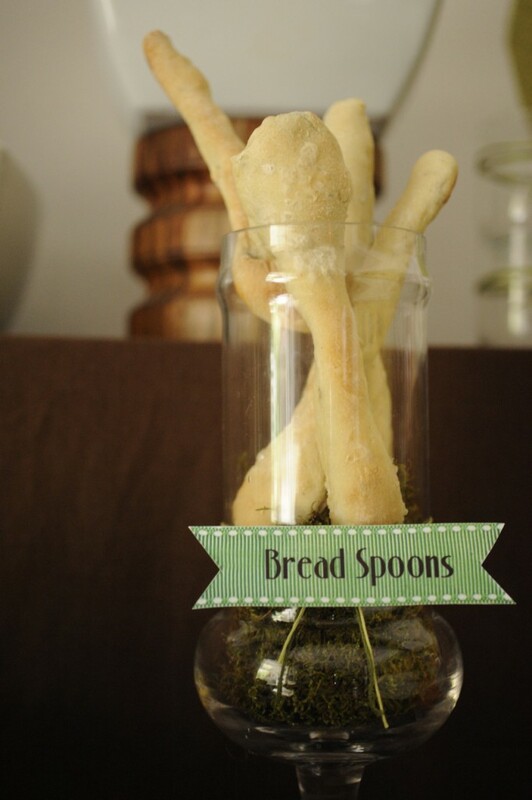 love love love the knife fork and spoon sets! or maybe a monogram for my little one (due in four weeks!). I love them all but love that metal nativity! entry#2 visited the store: LOVE the metal nativity – my mom collects nativity and she has nothing like it – her gift can be checked off my list! 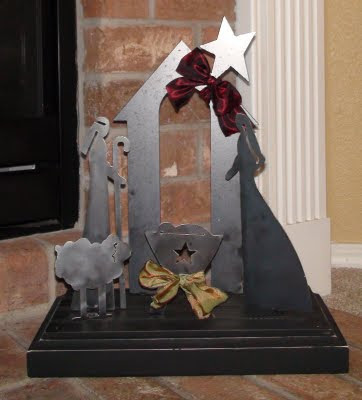 I lurve that metal nativity with all my heart!